A wake-up call has gone to youths to prepare themselves for leadership positions at all levels in order to make the positive changes the nation requires for development. 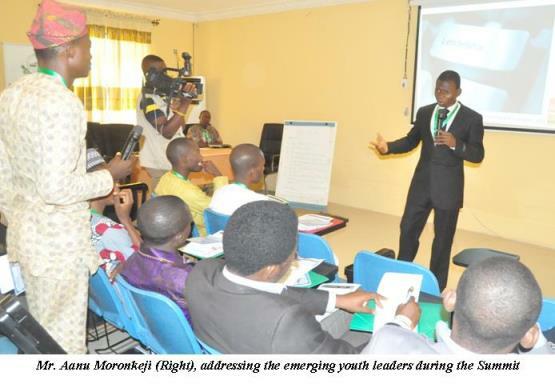 Delivering a presentation at a 2-Day Studership 2.0 Leadership Summit held recently, the Team Leader, All for Development Foundation and a 400L Plant Physiology and Crop Protection (PPCP) student , Mr. Aanu Moronkeji, described leadership not as a position, rank, privilege, title or money, but pure responsibility. According to him, the qualities of an effective leader include having basic intelligence, clear and strong values, high levels of personal energy, the ability and desire to grow constantly, vision, curiosity and a good memory. Alluding to the maxim which says, “the future has no shelf life”, future leaders will need a passion for continual learning, a refined, discerning ear for the moral and ethical consequences of their actions and an understanding of the purpose of work and human organisations”. He advised the youths to be mindful of their character as competence would get them to the top, while character would keep them there. Mr. Moronkeji added that the four things that stand leaders out are: having a clear idea of what they want to achieve and why. Secondly, leaders change the way people think and not just the way people do things, as well as living up to expectation when there is a crisis or special problem. The Fellow of the M121 Social Leadership Academy, USA, demystified the ‘Studership’ word to be a combination of students and leadership. 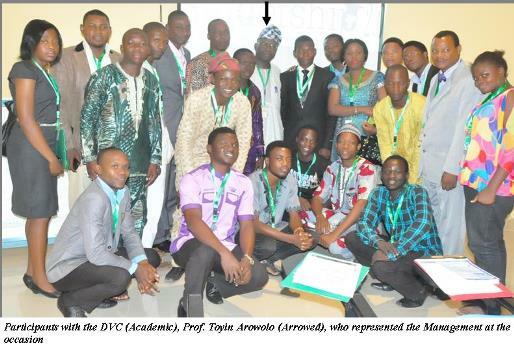 Earlier, the Vice-Chancellor, Professor Olusola Oyewole, who was represented by the Deputy Vice-Chancellor, Academic, Professor Toyin Arowolo, advised the youths of the country to be resilient, adding that they must accept the responsibility of leadership. 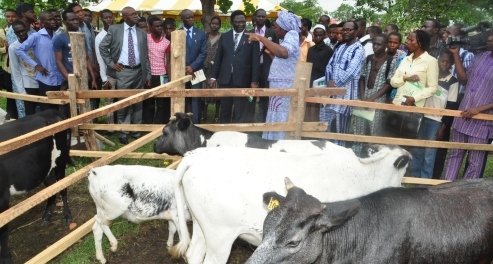 The Vice-Chancellor encouraged Nigerian youths to make the most of their leisure, taking advantage of their time to engage in productive programmes, instead of idling away. In his Goodwill Message, the Ogun State Commissioner for Youth and Sports, Honourable Olugbenga Otenuga, who was represented by the Deputy Director, Youth Development, Mr. Salami Adetokunbo, commended the organisers for the well-organised summit. Answering questions from FUNAAB Bulletin after the programme, one of the Participants, a member of the Accra Metropolitan Assembly, Ghana, Mr. Abdul Basit Osumanu, said “we face the same challenges of leadership in Africa. We have frustrated youths across Africa not trusting the leadership”. He, therefore, advised the youths saying “we need to trust whoever is leading us, adding that “the change we need should come from us”. Also, Mr. Serge Kpoglo, a student at the University of Lome, Togo was elated to have been privileged to visit Nigeria for the first time and promised to share the knowledge gathered at the Summit with his colleagues back home. Similarly, Mr. George Gambadatoun, a student at the National School of Applied Economics and Management, Cotonou, Republic of Benin, lauded the hospitality of Nigerians, a country he had visited thrice, saying that “I feel at home whenever I visit Nigeria”. He said his country shared a lot with Nigeria in terms of culture, dressing and language.